Scurrying vines of oregano, great bounties of tomatoes, rows of nodding chamomile, fresh bunches of cilantro, and bright orange butternut squash safeguarded under their enveloping leaves like sleeping giants; a victorious summer harvest to end our venture in raising awareness of the concept “Dig up your lawn!”. 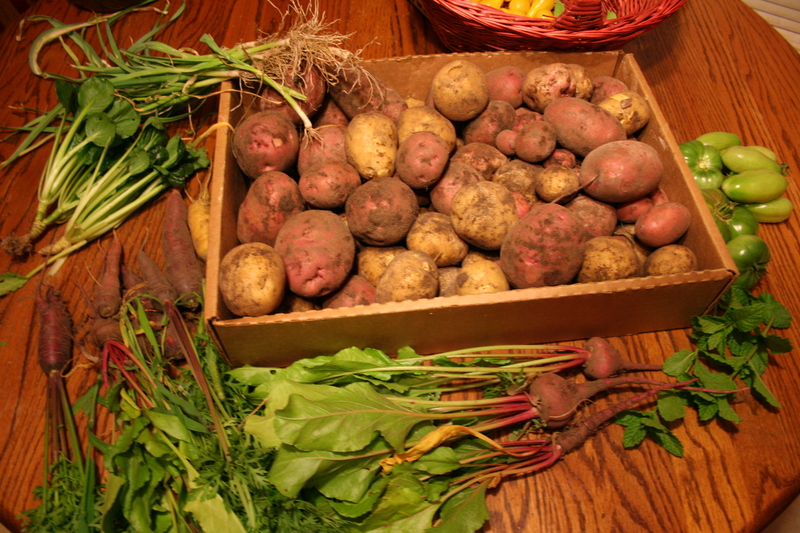 Many different colors and shapes were present in the garden, starting with baby mustard and spinach greens in the spring, followed by zucchini, green onions, mint, and raspberries in the summer, and finally potatoes, butternut squash, carrots and other root vegetables in the early fall. They were all growing and breathing in our backyard and we created a great relationship with each plant; many of them are still resting and their offspring dormant in the soil until the first break of spring. I have to admit that there is absolutely nothing I have ever experienced that is more gratifying than obtaining the simple indigenous knowledge of working with nature. I watched her grow a luscious bed of food which only minimal influence of resting all but tiny seeds within her body of soil. After the first few weeks of warm weather in which we hurried to create the beds and prepare the soil, it was now time to fully plant the copious amounts of seeds we ordered from two main seed suppliers. The first was Horizon Herbs, where we purchased most of our medicinal varieties, and from a much more local seed supplier, The Cottage Gardener, we ordered our vegetable seeds. We had a garden party in May and with the help of good friends, we planted the whole list of over 50 species, more were already started indoors and were set into the newly made beds. 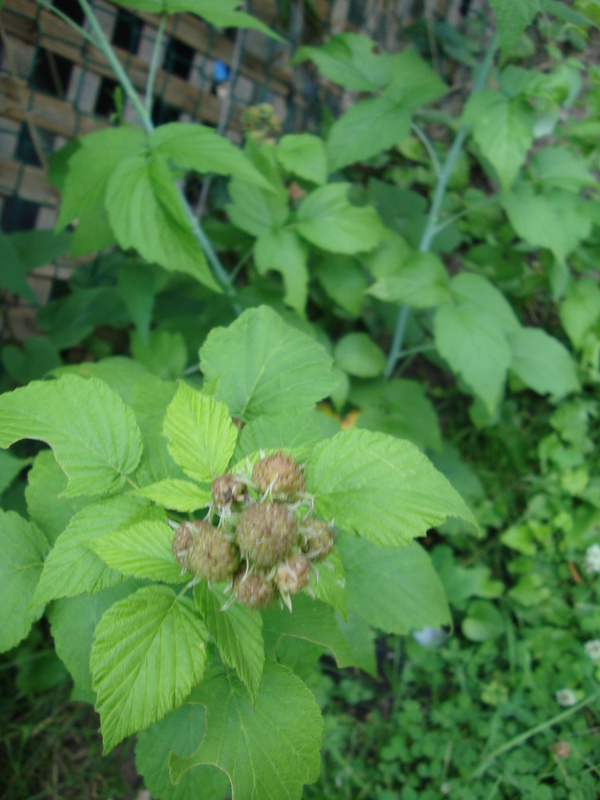 Things like raspberries, marshmallow and sun-daze flowers were purchased from a local greenhouse as the season went by. We made second, third, and even fourth plantings of greens which after harvesting the early crops like radish, we rotated certain greens since we eat such large salads. As the season progressed we took note of any changes we would like to make to next years garden. We noted some below. – If you use mulch – do not excessively water as rot can occur, especially with plants like tomatoes. – Monitor the insect populations more carefully to see when they peak and which ones become an overburden. – Leave LOTS and lots of room for the butternut squash… this herbaceous crawler can engulf everything like a sea monster in a Japanese film. – Avoid planting anymore Thistles near the path edges, as they can become a fierce weapon and cause bloodshed. – Mulch, Mulch, Mulch – we need to add more chopped wood from tree pruning companies. We watched and learned a great method and technique from a documentary called ‘Back to Eden’ which explains a sustainable, low input method that stops weed growth, that is a natural soil-builder, reduces need for irrigation, and is tilling free – just use a light raking when planting! – Do not add any green garden waste to your compost that has gone to seed. When the compost is finished those seeds will germinate and the new soil will be exploding with opportunistic plants that were not intended to be in your garden. – Make sure any plants with infection like blight-ridden tomatoes, or leaves with leaf miners, are separated from all other compost matter. Again, when these plants decompose, they will be prevalent in next spring’s crops. 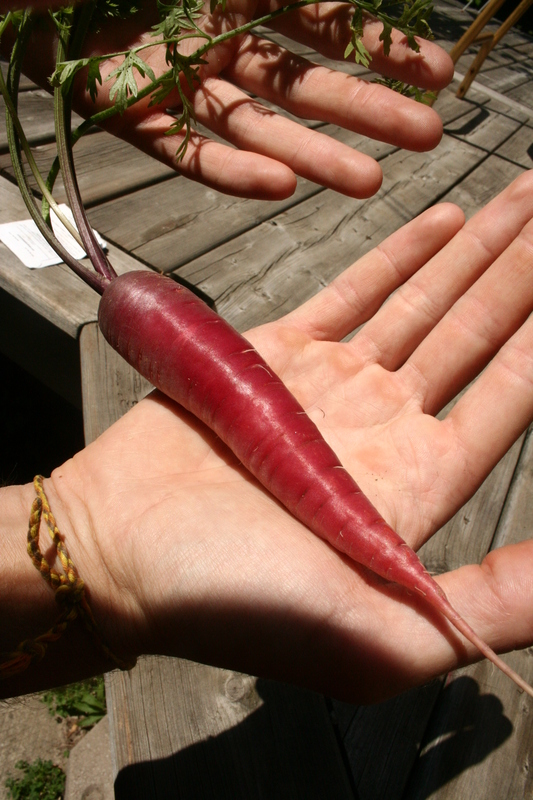 There are many more small changes that we are going to make to our garden this year – many species of vegetables just didn’t fare well in sections that did not have sufficient sunlight and some species, like Romanesco Broccoli and Winter-Density Spinach, bolted and had little production from what we read was excessive temperatures for their liking since they are a cool crop. 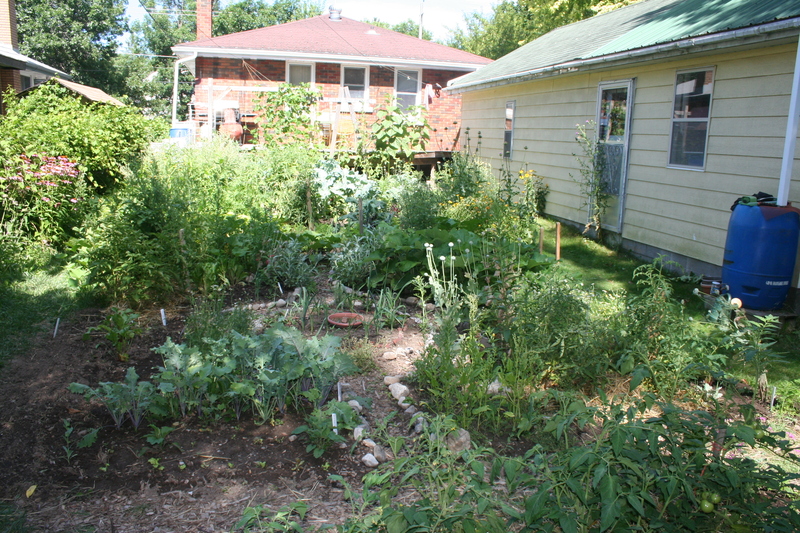 To see the layout of last year’s garden, click here. 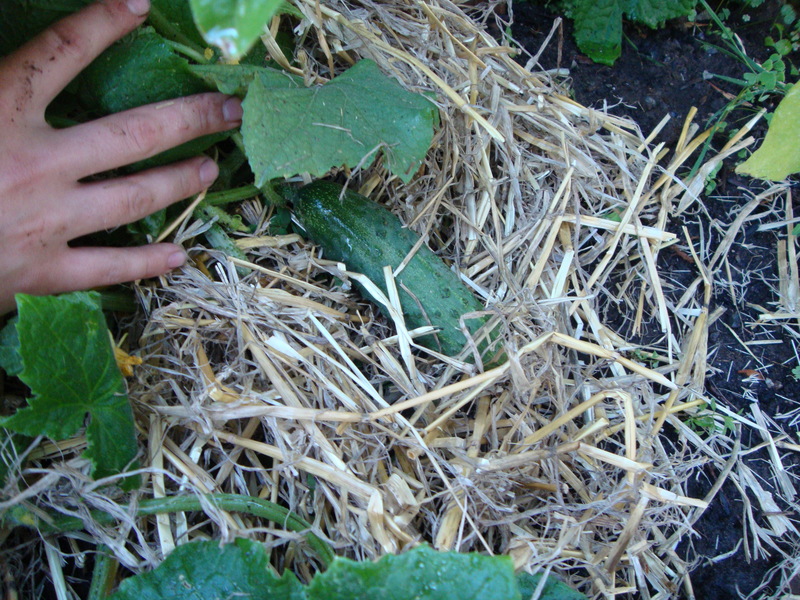 Straw mulching our field cucumbers really saved a lot of water for irrigation! Looking back on the course of the entire Season, from spring to summer, I was like an excited child on Christmas. I would anxiously get dressed in the morning when the spring sun was just stretching over the garage and illuminating the fence of wild grapes, and search through the soil to watch for any new sprouts that had begun to grow. 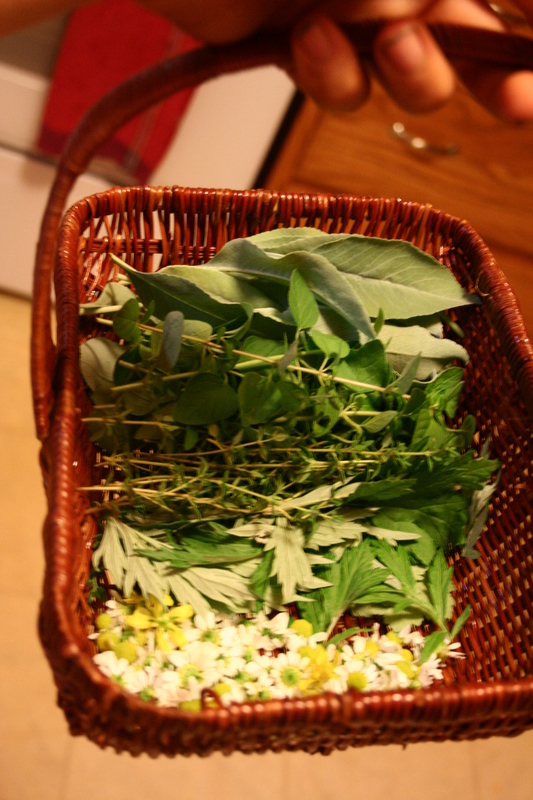 I saw the intricate leaves of new herbs and vegetables that I had never seen before. While I watered the garden, I watched certain crops die from over-hydration while their neighbor flourished and exploded. I learned many lessons with my eyes and through touch and through these lessons I have become very thankful. It has been through the passion of food growing that I get to experience how my food is grown and where it comes from. I feel more connected to nature, more respectful of the intricacies in nature, more observant of the complicated matrix of synergies that we become so unaware of while we hustle and bustle away in our busy lives. Doing a backyard garden does this to you. It opens your eyes to the drastic framework that exists in nature and we are part of it! I know it seems weird to think that clumsy, destructive, hungry humans fit into all of this, but maybe it is just we are not opening our eyes and experiencing this matrix enough.